Most 18-year-olds with a brand new licence would get pretty nervous driving with their dad by their side. This time, it was the dad who was the more nervous. How come? 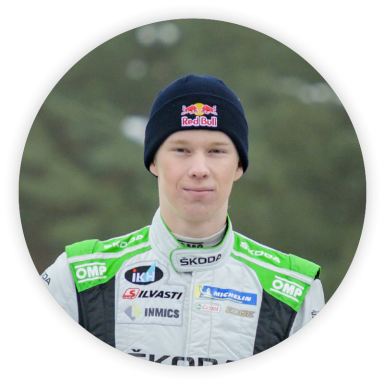 Because the youngster is Kalle Rovanperä, ŠKODA Motorsport’s fresh talent. Kalle Rovanperä exclaims: “I’ve never been so excited in my life before!”. He watches his dad Harri get behind the wheel of a WRC rally car once again – for the first time in 12 years. 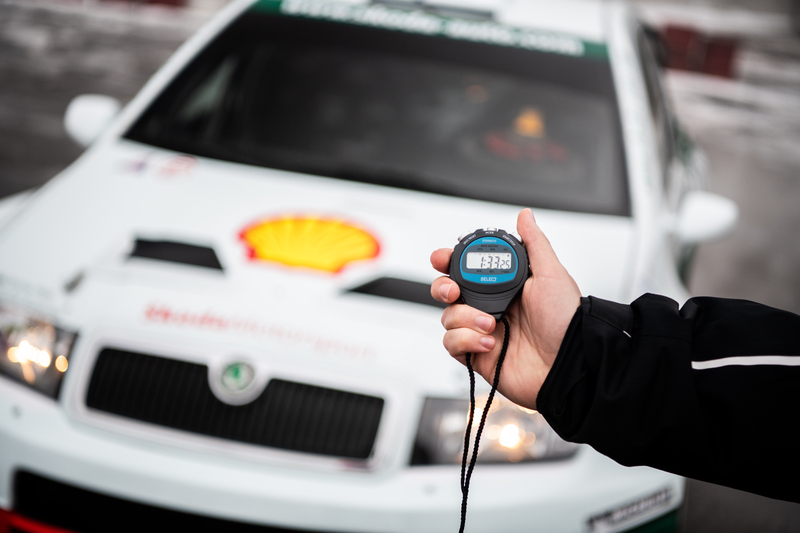 The ŠKODA Motorsport test track deep in the middle of Bohemian woodland hosts an extraordinary gathering. Harri Rovanperä, who competed in a ŠKODA FABIA WRC in the 2006 World Rally Championship, had come along with his son, Kalle, who won two WRC 2 events in his ŠKODA FABIA R5 works car and celebrated becoming an adult by coming third overall in the WRC 2 category. It’s not every day you get an opportunity for a family duel like this! 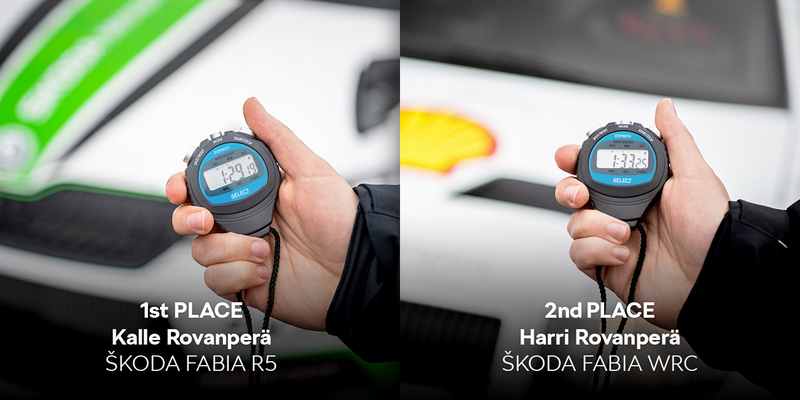 The ŠKODA Storyboard team jumped at the chance to put the two generations of rally cars and rally drivers head-to-head. Kalle started driving before he learnt his times table. When most boys of his age were playing with Matchbox cars, he was already drifting a real-life racecar over snowy tracks in the Finnish woods. His father Harri was his motorsport mentor from early childhood. Watching them, you can’t help but notice their natural partnership. This, however, is their first real chance to drive together in the cars they used on world-famous rally tracks. “I was just a little kid when dad was racing, so I don’t remember much. This has made this chance for us to drive together that much more enjoyable. It was wonderful watching dad getting into the zone, gathering pace, finding his focus and building up speed. In the end, it was like driving a real rally. I was incredibly happy because of him,” exclaims Kalle, who stood trackside during the warm-up runs, cheering his father on excitedly. It soon became clear that, even though it’s been 12 long years since his last WRC event, Harri Rovanperä has not forgotten how to drive. “It’s been many years and the conditions here are really challenging, a lot like Monte Carlo. But I started to get into it after a couple of laps, I was starting to feel it. When we then did our timed runs, it was a wonderful experience”, explains Rovanperä senior. His spectacular drifts on icy forest roads left no one in doubt that he’s still got the proverbial “sisu” – a Finnish concept of resolve, determination and courage. Yet at the same time, it was clear who the active rally driver here was. After each training lap, Kalle offered his father advice about the best line through corners, the proper braking point and when he could really floor it to get the most out of his car. Both drivers also found themselves, rather unusually, in the co-driver’s seat for a bit, but their feelings about it were very different. “I don’t usually ride shotgun and when I do, I’m always scared. But with dad, I felt safe. I know that when I’m with him, nothing bad can happen. He wouldn’t do anything that could endanger us,” said Kalle after a ride in the FABIA WRC, showing immense trust in his father’s abilities. Harri, on the other hand, looked much more nervous emerging from the FABIA R5’s right seat. “For me, it was a bit different. Of course I have confidence in Kalle, but he was driving terribly fast… Not that I felt really sick, but I can’t say I was fully enjoying myself. Kalle says he was driving at 80%, but to me it felt more like 120%,” laughs Harri. And how would he compare the drive in each of the cars? 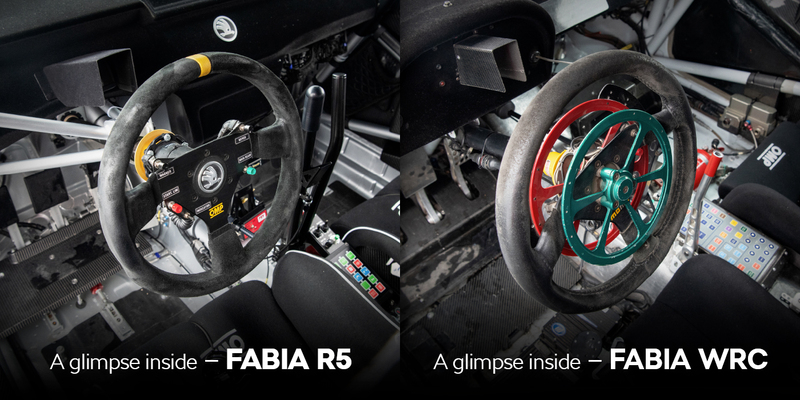 “The car setup is very precise nowadays, the power curve is very linear and predictable in the R5. That’s also why the driving style is a bit different from what it used to be. For me, that’s where the biggest difference lies,” muses Harri, with Kalle nodding in agreement. While Kalle started to hone his driving talent at a tender age and launched his career very early, Harri’s story couldn’t be more different. “I was more into skiing when I was young and I got into racecars much later. I was 22 years old when I was watching rally with a friend of mine and we thought that it looked pretty easy and that maybe we could give it a try. 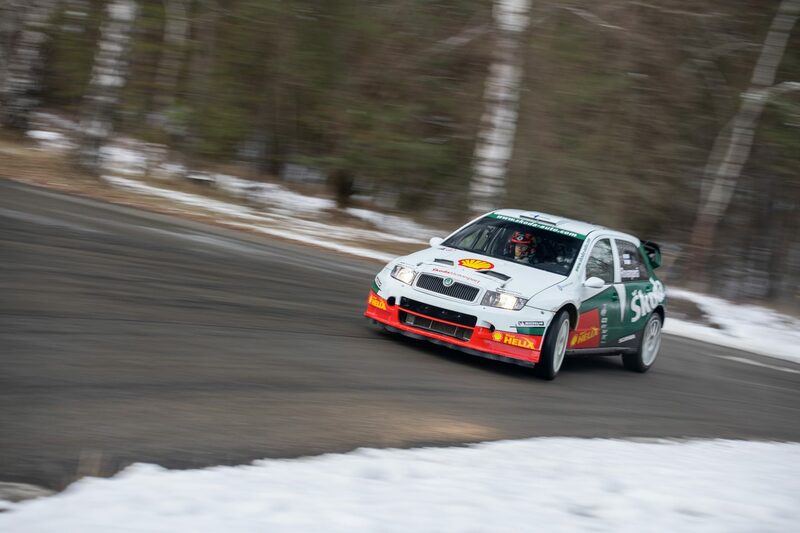 Kalle, on the other hand, was maybe ten when he came to me and said he would like to try for a rally career,” Harri says about their beginnings. The many years of hard work are easy to see. 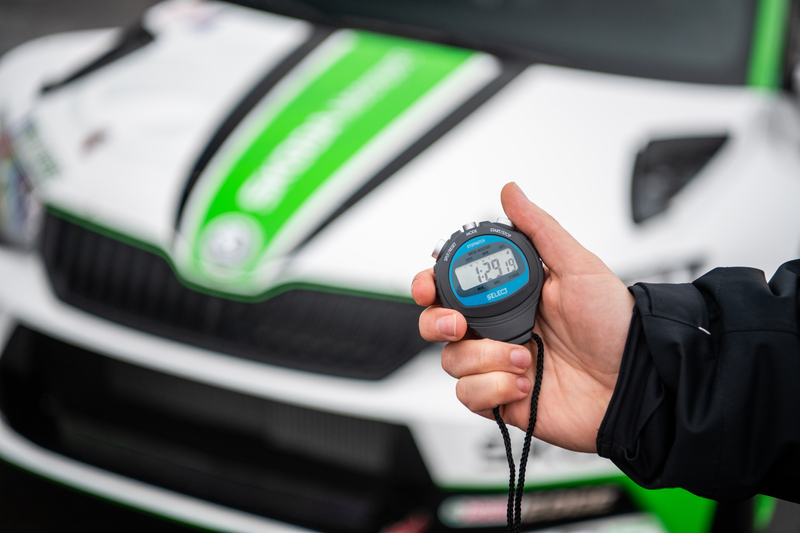 Last year, in his first season with ŠKODA Motorsport, Kalle Rovanperä helped the Czech team to score a 1-2-3 result in the overall standings of the WRC 2, when he placed behind his teammates Pontus Tidemand and world champion Jan Kopecký. The reigning champion has nothing but praise for his young colleague. 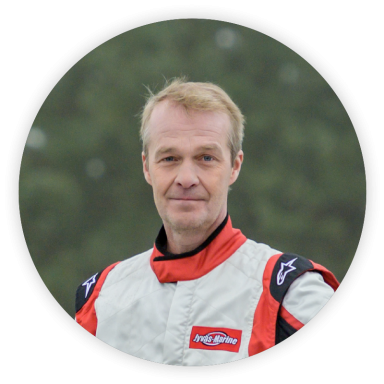 “Kalle is doing great, and he’s a very advanced and mature driver for his age. I think he’ll be world champion one day,” said Kopecký. Here’s an interesting fact – during his long career, Kopecký first competed against Harri in the world championship, and now he’s teammates with Harri’s son, Kalle. Kalle makes no secret of his ambitions. “One day, I want to be the best. We’ll see – at the moment, we’re taking it step by step,” he declares. And he can be sure that his father Harri will be by his side every step of that way. 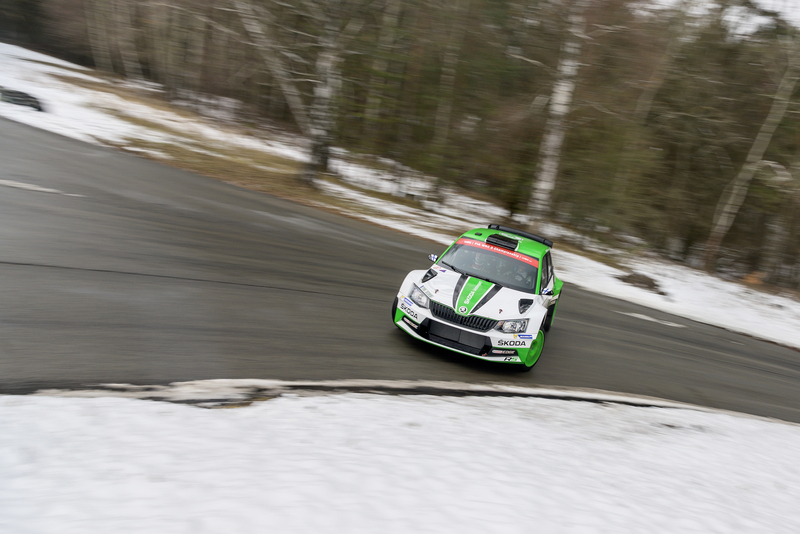 “With Kalle driving for ŠKODA Motorsport, I have a lot less work. Still, I have to take care of a lot of things. And I really don’t mind that, it’s something I’m happy to do,” concludes Harri. Father or son? The numbers are on Harri’s side. 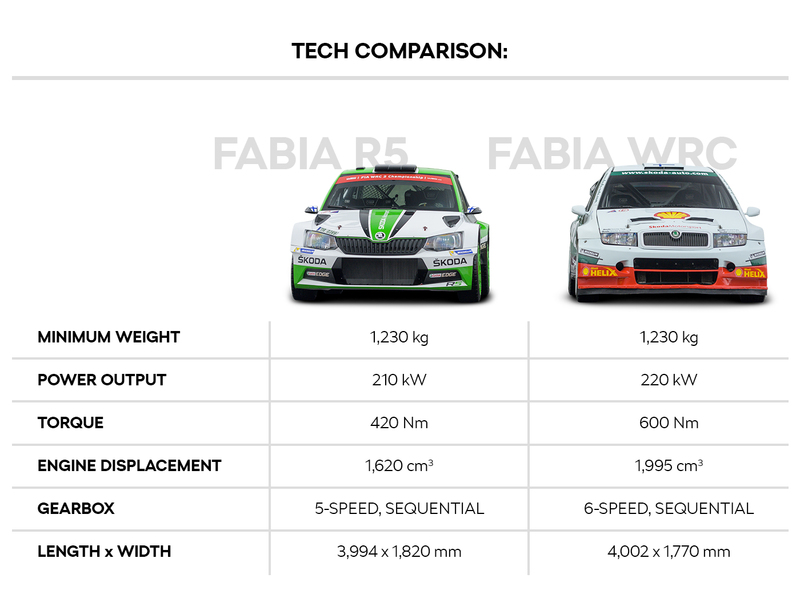 Both cars weigh about the same, but the time-tested FABIA WRC boasts the bigger engine, a bit more power and torque almost half as much higher. 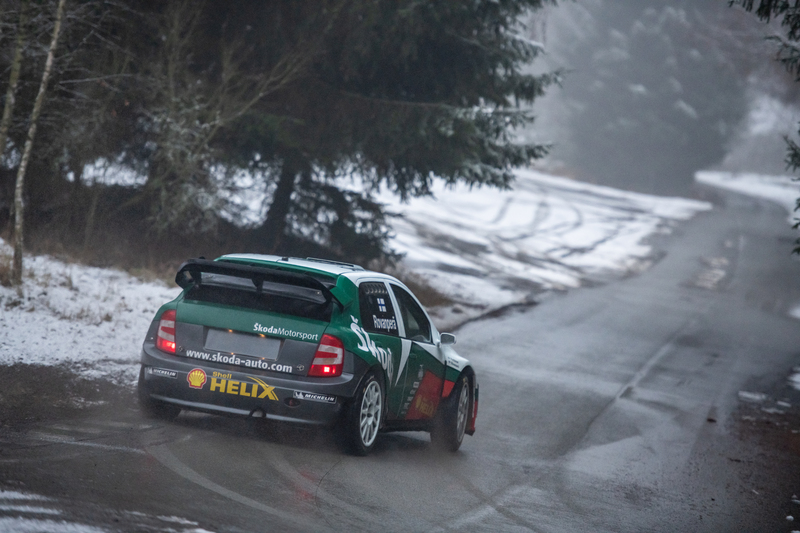 On the other hand, Harri hadn’t driven arally car for more than 10 years and he only had a few drives to warm up. By contrast, Kalle trains almost constantly and he’s taken his car to victory in two very challenging WRC 2 rallies – the Wales Rally GB and RallyRACC Catalunya – gaining enough points to reach third place in the championship. Still, both drivers were in it for the fun and neither drove really flat out, so the final result is just a rough comparison of their pace. Who was faster? Father or son?